March 7, 2015, 7:30 In this historically authentic presentation, Raphaella Smits and Adrien Brogna play mid-19th-century repertoire on eight-string guitars. These instruments expand the guitar's register, allowing for the historically accurate performance of repertoire by such influential composers as Mertz and Coste. In fall 2014 Soundset will release the first recording by these two exceptional artists, who have earned international acclaim for their faithful interpretations and unmatched musicality. Eduardo Fernandez will give the first concert of the 2015-2016 Segovia Classical Guitar Series, the first classical guitar concert to be given in Northwestern University's New Music Building. Seating is very limited. Make sure to contact the Pick-Staiger Box Office at Northwestern early to reserve your tickets. Paul O'Dette will be the second guest on the 2015-2016 Segovia Classical Guitar Series. 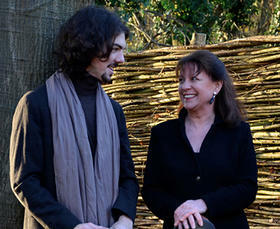 He will perform at the New Music Building at Northwestern University. 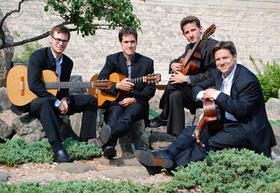 Northwestern will welcome back distinguished alumni from the classical guitar department to perform on the Segovia Series. Guitar Foundation of America Competition winner Ekachai Jearakul will perform on the Segovia Series as part of his 60 concert winners' tour. 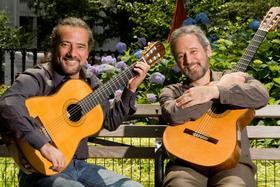 Alvaro Pierri will perform on the Segovia Classical Guitar Series at Northwestern University.